Brotherly Love White House Municipal Park in White House, Tenn.
We All Play Ball Miracle League of Grand Island in Grand Island, N.Y. Your playground doesn't have to look like every other. With creative approaches, customization, community involvement and more, you can build a unique playground that kids can't resist. Selecting site furnishings—from benches and picnic tables to trash receptacles, bike racks and more—is a crucial part of park planning. The right furnishings will enhance your space, and if you choose wisely, should last for the long haul. Now that splash play areas have been around a while, new trends are taking hold. From water treatment and conservation to designing the areas for appropriate ages and experiences, learn what's new. You don't have to build a brand-new, environmentally friendly facility to shrink your negative impact on the planet's resources. 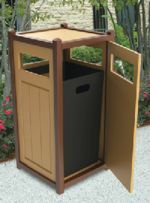 There are small steps to take that can go a long way in greening up existing facilities. Swimming pools feature complex chemistry and a whole list of to-do's that are extremely important to keep things running right and to keep swimmers safe. Here, we asked some experts for input on pool maintenance. Green & Efficient Adlai E. Stevenson High School Lincolnshire, Ill. 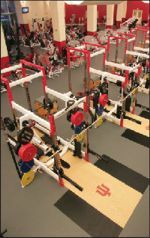 When this high school's natatorium became increasingly inefficient, a team of experts came together to create a unique air handling solution to fix the problem. Water conservation is becoming increasingly critical in various parts of the country. Here are some suggestions for finding ways to conserve in your restroom—one of the biggest wasters of water. Making a Splash Splash Island at Lake Gregory in Crestline, Calif.
Restrooms Take Center Court Indian Wells Tennis Garden in Indian Wells, Calif.
Providing fitness equipment for free use at a park, along a trail or near a playground offers a smart way to build your community and help its members get more active. Aquatic facility maintenance requires careful attention to detail. Luckily, there are tools and strategies you can use to stay ahead of the game. Theater on the Green in Prescott Valley, Ariz. 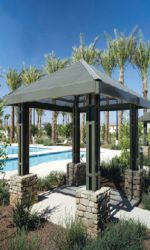 When this town wanted to provide a covered venue for performances and other events, they turned to a nearby manufacturer of shades and shelters for the perfect solution. Sage YMCA in Crystal Lake, Ill.
A renovation to this YMCA brings in plenty of natural light and creates opportunities for more diverse experiences and programs. Boosting Group Fitness Participation Brickhouse Cardio Club in Princeton, W.Va. Whether it means taking advantage of the increasing interconnectivity we're all engaged in or catering to specific audiences like actively aging seniors, fitness equipment manufacturers are expanding their reach. 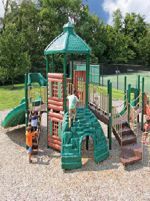 Playground maintenance is one of the cornerstones of safety for these popular, kid-friendly destinations. Here, we take a look at ways to ensure you're on top of maintenance requirements. There are basic programs every pool should offer, but if you want to operate in the black, it's important to consider your options and know how to program a variety of opportunities effectively. 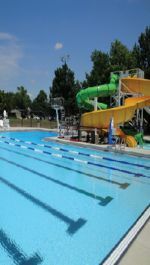 For newer aquatic facilities with a range of splashy amenities and curvilinear spaces, selecting the right pump is crucial to ensure all of the pool's water is getting circulated and sanitized.